This is Elder Tracey “Echo” Preston Sr. and his wife Dana “Warden” Preston They reside in the Springfield, Ohio area. Where they spend, their time working, or with their six children, and grandchildren when they are not out involved in Church activities, or Ministry opportunities. They have a very big heart for people in the Biker Community and love riding their motorcycle, and sharing the Love of Jesus Christ. This couple oversees the Springfield, Ohio Chapter of Bikers for Christ M/M and Echo is the State Elder for Ohio. They have served in this Ministry since July 2010. 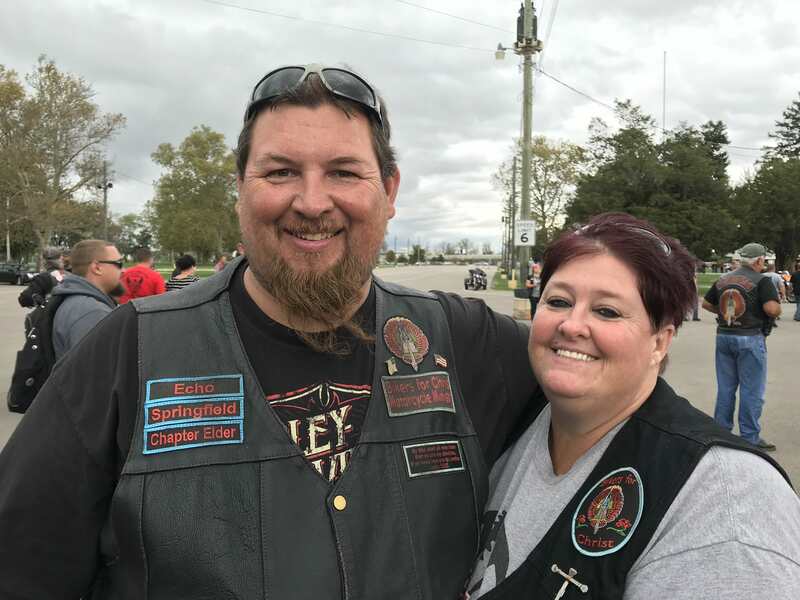 They love working in the Community through the BFC Ministry serving at Swap meets, Bike Blessings, Weddings, Baptism, Funerals, Biker Church Services, Bible Studies. We are here to share the Love that has been shared with us and serve you in your Spiritual needs.